The Princess talks meditation, her relationship with technology and how she finds strength in failure. In this edition, Princess Eugenie Victoria Helena of York discusses her life in the United Kingdom. Her Royal Highness is the second child of The Duke of York and Sarah, Duchess of York, and sixth grandchild of The Queen and The Duke of Edinburgh. 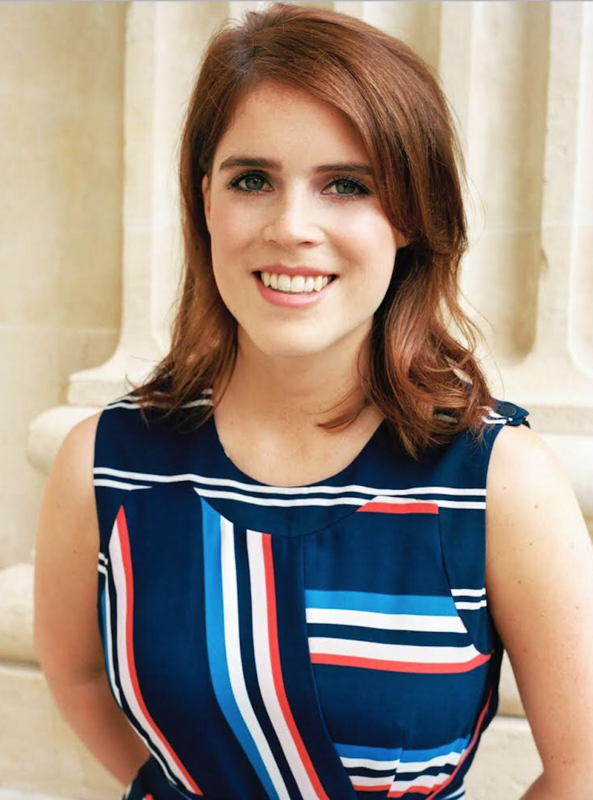 When she is not working as a full-time Director of the contemporary art gallery Hauser & Wirth, Princess Eugenie can be found supporting her charitable endeavors. She has been campaigning against Modern Day Slavery since 2012 and has worked on and alongside The Key to Freedom, the UN Trust Fund to End Violence Against Women and her new initiative The Anti-Slavery Collection. Here is a peek into how Princess Eugenie successfully balances all of her commitments. Princess Eugenie: I’ve just moved house and now I can hear the birds tweeting. So now I listen to the birds and if Jack’s there give him a big hug. I need to start using my Thrive bed for my telephone more as I am naughty and check my emails. Since reading the book though I’ve been more mindful to not have it in my room. PE: Sunlight, exercise, art, family and friends, puppies, French fries (chips in the UK). PE: I’ve started to meditate, which has really been wonderful to give me the energy and time to think and re-focus on what’s important. It gives you the space to deal with stress and to prioritize what really matters. PE: Half the sky written by Nicholas Kristof and Sheryl Wudunn. PE: Yes — I have to move it out of the bedroom though as I really see how detrimental it is to read your emails straight away when you wake up. PE: I usually try and reply as they come in so I don’t get overwhelmed by them all. But a lot of the time that doesn’t happen. I also don’t use my email over the weekend so I can take time away from it. PE: Enjoy my lunch, look up at the sky and be grateful or walk around the block at work to get me going again. PE: Einstein said, “Anyone who has never made a mistake has never tried something new.” I believe we have to have failure to succeed. There are daily situations where you may feel like that; I know I do but it makes me who I am. PE: Recently I went to see Jack Whitten’s show at the Baltimore Museum of Art. As you enter there is a quote from him that says, “My life has been an epic adventure.” It has really stuck with me because at the end of a long life I would like to look back and be able to say that.